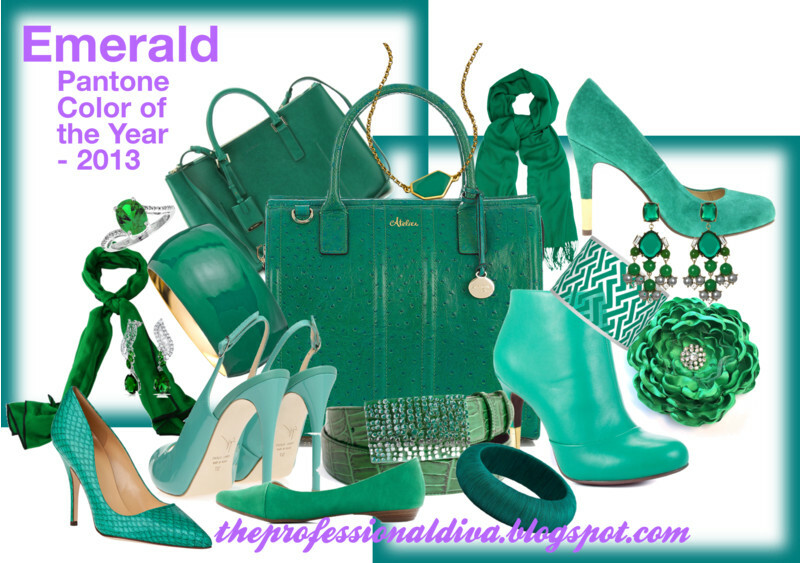 THE MARTINI CHRONICLES: Emerald...Werk the Color of the Year!!! Emerald...Werk the Color of the Year!!! Divas! 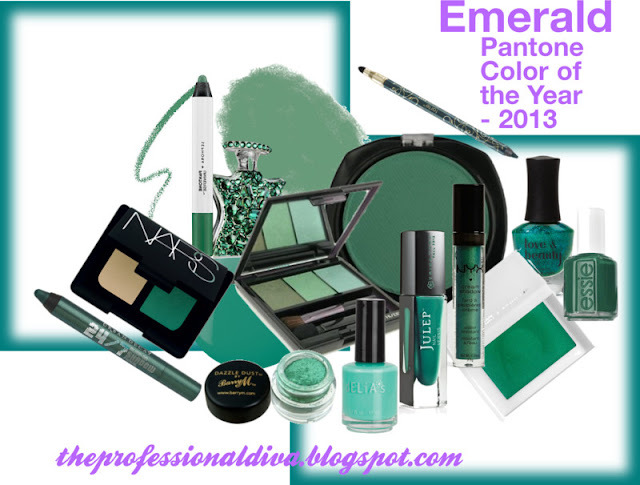 In case you missed it, Emerald is the Pantone Color of the Year! 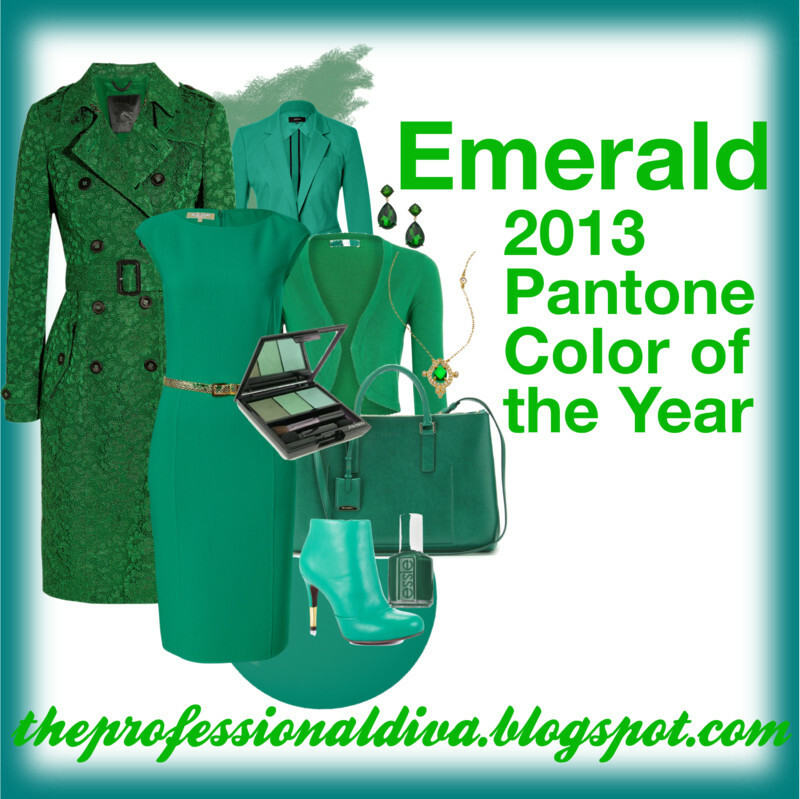 I am really excited about Emerald, as I think it is a gorgeous color that works well across various seasons. As was the case last year with Tangerine Tango, I am super anxious to add a few Emerald pieces to my wardrobe. Maybe a cute wrap dress...or a great pair of booties...or maybe some Emerald accessories. The possibilities are endless! Check out some of the great pieces I have found while surfing the web...maybe it will inspire you to spice up your wardrobe with the Color of the Year. Enjoy! Try adding some Emerald pieces to your professional wardrobe. A great emerald-hued dress can work wonders in sea of black and blues. Or, wear an emerald-toned blouse with a traditional suit. Or, how about an Emerald blazer atop a neutral-toned outfit. However you decide to do it, this rich color can make any outfit pop! If accessories are your thing, why not add a few Emerald pieces. Shoes, purses, scarfs, bracelets, belts, and broaches...all look great in Emerald and can add just the right amount of flavor to your outfit. Need an example? Remember the Emerald earring Beyonce wore at the presidential inauguration? Of course you did! Last but not least, add a few beauty products to your arsenal in honor of the Color of the Year. An emerald-toned nail color adds just the right amount of sophistication and sass to your office apparel. And a little bit of eyeshadow and/or liner can transform your current look. Have you embraced the Color of the Year? 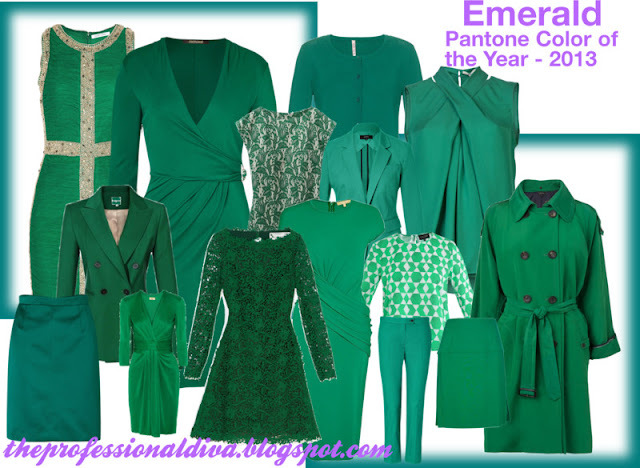 How will you incorporate Emerald into your at-work apparel? the user and will match other songs based on melody, tone, and other aspects of the music selected. per year. It statistically learns which music genre the user prefers to listen. more than just cutting together different clips. The viewing angle is extra wide, making it easier for you to read or even allow others to read with you. featuring the entrepreneur whenever they release new products or services. Another consideration when choosing your software is whether you will be connecting to a single stream or multiple streams. streaming MP3 format, which could be played through Winamp. access existing radio stations with new facilities.